Author Don Winn's Blog – Where it's all about imagination, great stories, and helping kids learn to love to read. 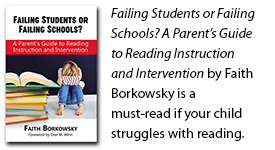 Click here to read some of my archived blogs and other published articles on dyslexia. The Sir Kaye the Boy Knight series by Don M. Winn is an award-winning four-book series for middle readers about the adventures of a twelve-year-old knight. Don M. Winn is the author of 12 picture books designed to help parents instill great literacy habits in their children. Click here to learn more!